I am certainly no gardening expert, but my little tomatoes and bell peppers plants are getting completely eaten alive. The green foliage looks like Swiss cheese, and as a complete novice gardener, I am considering using the most toxic form of pesticide that I can legally purchase. Of course being a responsible human, husband, and father I do try to avoid going to extremes…sometimes. So the rational side of my mind, my wife and kids, came to the rescue and went to the gardening store without me. 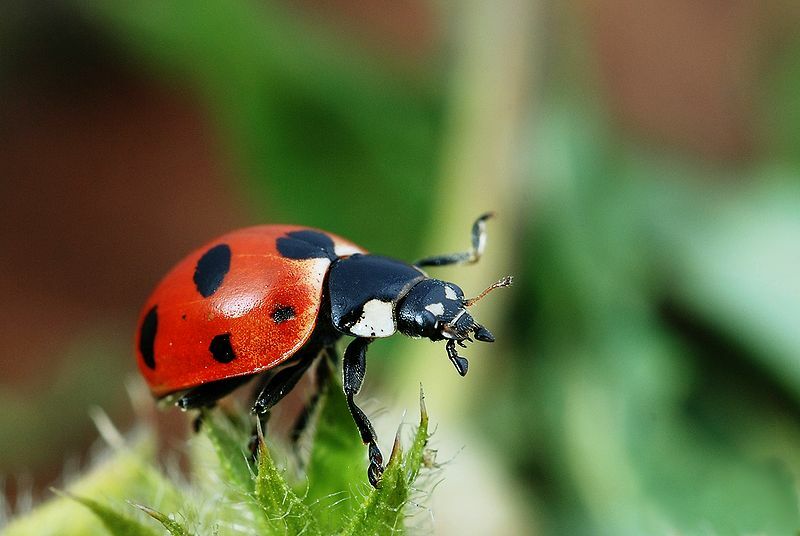 They returned home with a small container that reports to contain over 1,500 ladybugs or Coccinellidae. A local expert advised this as an initial course of action in ordered to control garden pests without unnecessarily exposing us to harmful chemicals. So far, it seems like a great idea, but will it actually work? That answer remains to be seen as I have my doubts, but I am willing to give anything short of full-scale chemical warfare a try. We followed the release instructions to encourage these hungry critters to make a new home in our little garden beds. frankly, which the kids got a great kick out of and was certainly worth the cost of the container of ladybugs. I hope these bugs enjoy their new home and dine on all the pesky undesirable critters that are turning the leaves into Swiss cheese. I am actually looking forward to the next few mornings and evenings when I go out to our tiny garden and see if I can actually find any of the 1500+ ladybugs still on the plants. Eat well my little friends, eat well.